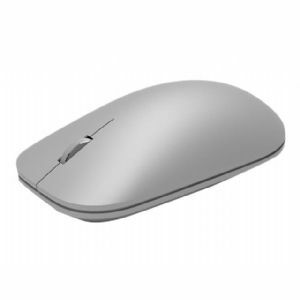 Sculpted for your hand and designed for an elegantly simple work space, mouse is the perfect partner to your device. It was designed to match the sleek aesthetic and exceptional performance. The metal scroll wheel feels solid under your finger, and the shape of the body fits perfectly in your hand. Mouse is designed to have premium precision pointing and clicking for scalable performance across the screen of your device and external monitors. With precision-tuned sound for clicks and scrolling, mouse is quiet enough to not be heard while quickly responding to your touch.